Australian Reptile Park LOVES funnel web spiders! Did you know since 1986, not one person has died as a result of funnel web spider bite? The Australian Reptile Park has played a massive role in this with assistance in the inventing the funnel web anti-venom (since 1981) as well as playing an ongoing role in providing the raw venom to BioCSL for anti-venom to be made. 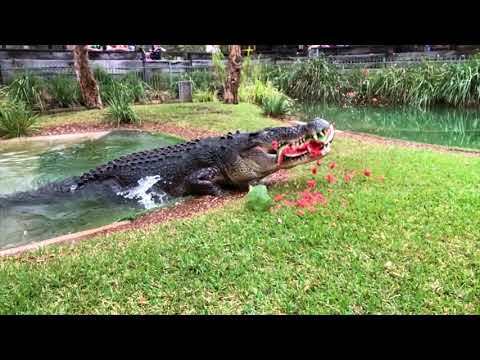 Australian Reptile Park Curator, Liz Vella, explains “We have been providing venom to BioCSL since 1981 and it’s estimated that over 1,500 lives have been saved since its introduction. We have 80 male funnel webs here right now, but our goal is to house between 300 and 400” she said. The process of turning venom into anti-venom is long and tricky but it’s not impossible! Once the funnel web spiders have been milked at The Australian Reptile Park, we freeze the venom and send it to BioCSL. From here, the BioCSL team inject very small amounts of the venom into rabbits. This amount is increased in small amounts over a six month period until the rabbit is able to withstand six-times the lethal dose. Blood is then drawn from the rabbit and the blood is spun in a centrifuge. The spinning separates the antibodies from the rest of the blood and it is these antibodies that make anti-venom – pretty cool stuff! More than 30 species of the highly dangerous funnel web spider exist throughout Australia. The best known is the Sydney funnel web spider, which is found only within a 160 km radius of Sydney. The male is more dangerous than the female, which is unusual in the spider world. The male Sydney funnel web is also Australia’s most dangerous spider, capable of causing death in as little as 15 minutes. Ms Vella explains the importance of first aid, saying “Residents in areas that have a high number of funnel webs are urged to know first aid and have a spider safety kit ready. The kit should include a glass jar with air holes in the lid, a plastic ruler to guide the spider into the jar and plastic (found in the bottom of a shopping bag). This, along with a compression bandage should be handy at all times” she said. First aid is straight forward. Phone for medical assistance immediately, reassure the patient and try to keep them calm and still. A compression bandage should be applied and where possible, bring help to the patient rather than moving them.